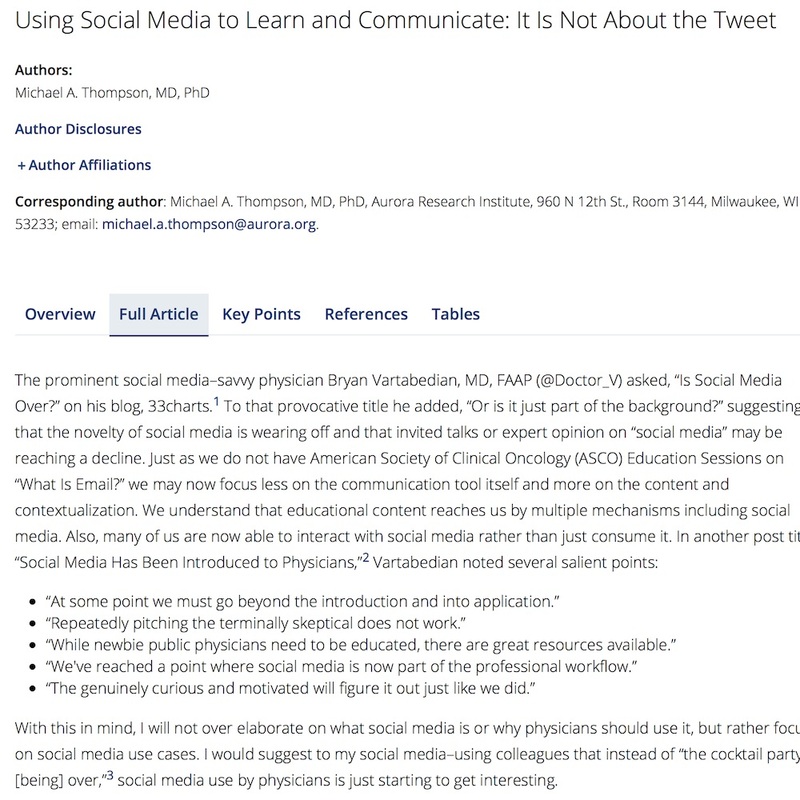 Using social media to learn and communicate: it is not about the tweet. Social media can be defined as the use of media to interact with social networks. Social media is not about the content of the tweet, inasmuch as the technologies and social media platforms influence how content is generated, disseminated, and used. Social media is not dead, but rather it offers rapid incoming and outgoing forms of communication, which may be utilized in a variety of "use cases" in medicine and oncology.